I grew up on Disney’s The Lion King and I still know all the words to the songs. When I found out Disney was creating a series featuring Simba’s son Kion I was thrilled. My Daughter loves watching Disney Channel on Friday mornings to see the latest episodes of the Lion Guard. So I thought to myself, why not make Friday a little more fun? 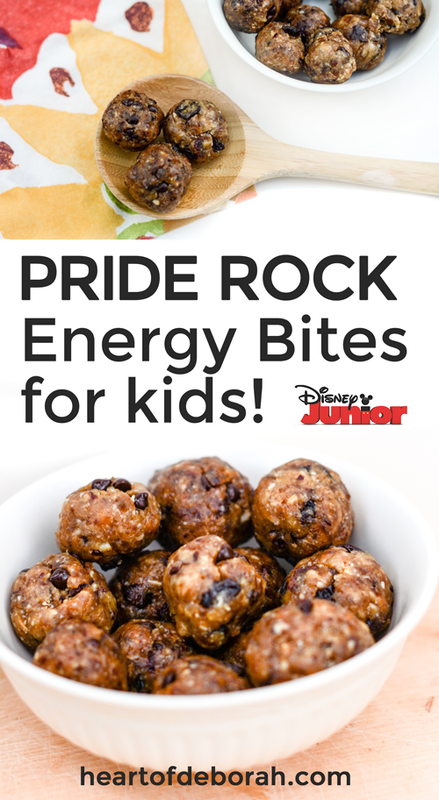 We’ve partnered with Disney Junior to make these healthy and fun breakfast ideas in celebration of FRiYAYs this summer! Directions: Place the pitted dates in your food processor or blender. Add a splash of water. Grind up into small pieces for about 30 seconds. Add the raw slivered almonds, peanut butter, dried unsweetened cherries, flax seed and honey. Grind for another 45-60 seconds. 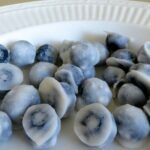 Use a tablespoon to scoop out some of the batter and roll into a ball. Repeat until batter is gone. Cool in the fridge for 30 minutes and serve! Store leftovers in the fridge. *Makes approximately three 12-ounce smoothies. Directions: First, mix the yellow smoothie in your blender. Then pour into 3 separate glasses. 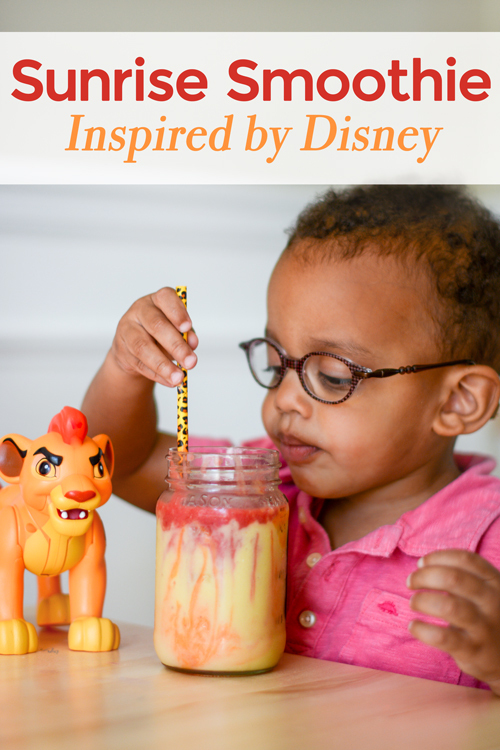 Next, mix the orange smoothie and carefully add to yellow smoothie in your glasses. Lastly, blend the red smoothie ingredients. It may not make perfect layers, but that is okay. It adds an artistic touch to your sunrise when the colors blend together. 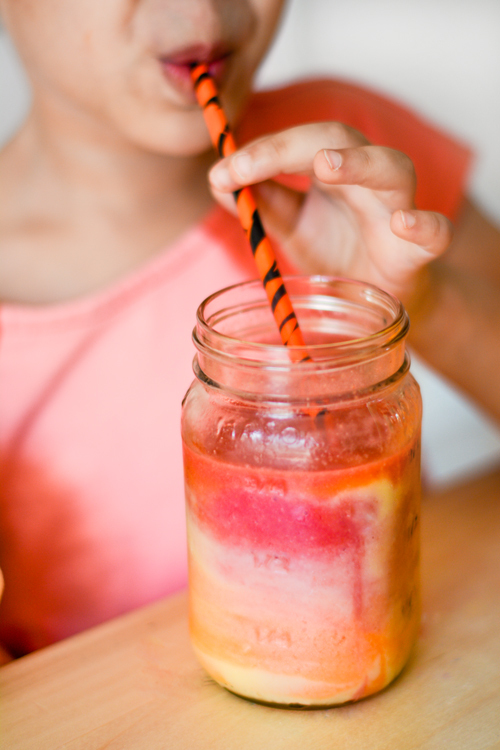 Izzy loved drinking her African sunrise smoothie! 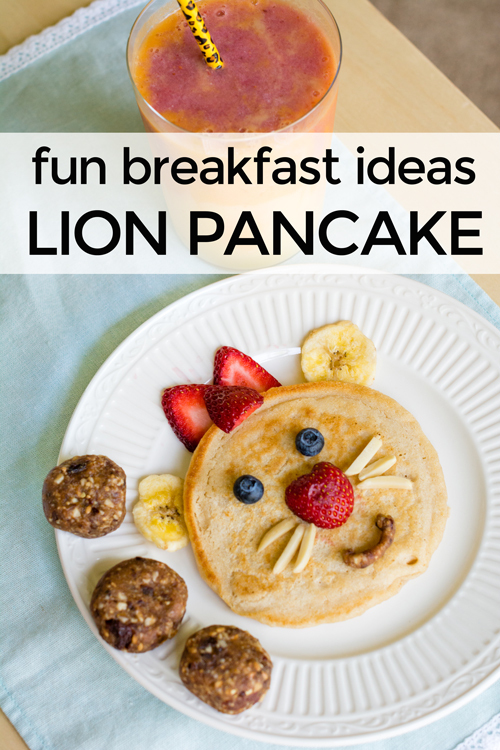 Directions: We wanted to spruce up our breakfast so we created fun lion pancakes! 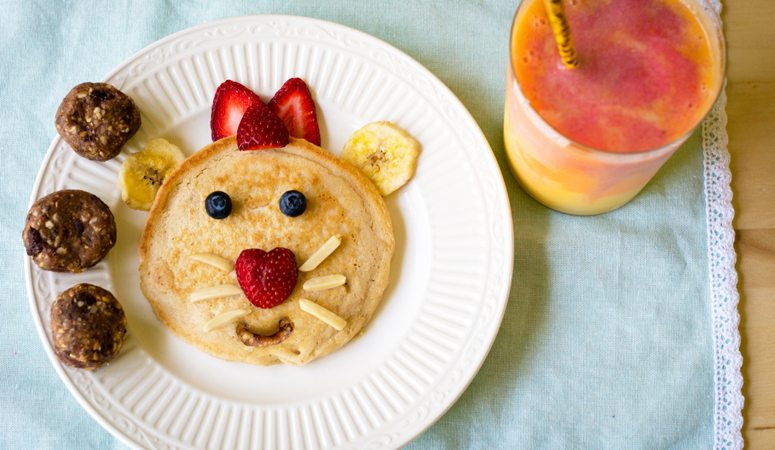 After you make your pancakes add decorations to create an adorable lion face. Izzy wanted hers to look like Kion from the Lion Guard so we give made him a lion cub with red hair. 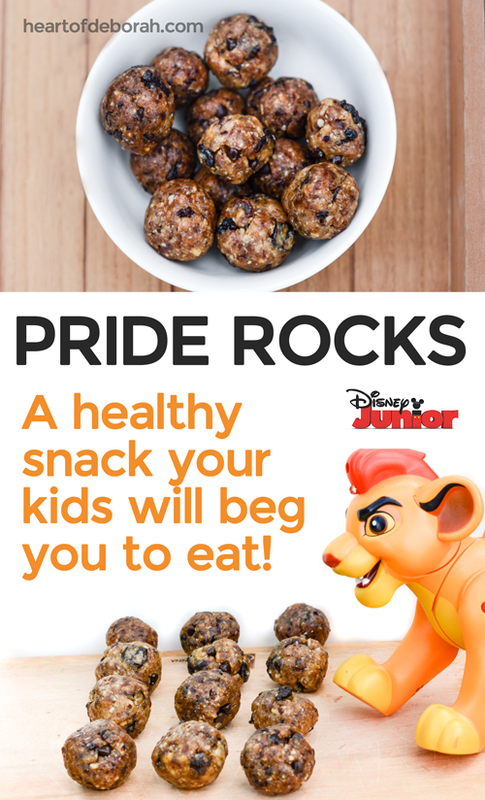 Fun Breakfast Ideas For Kids! 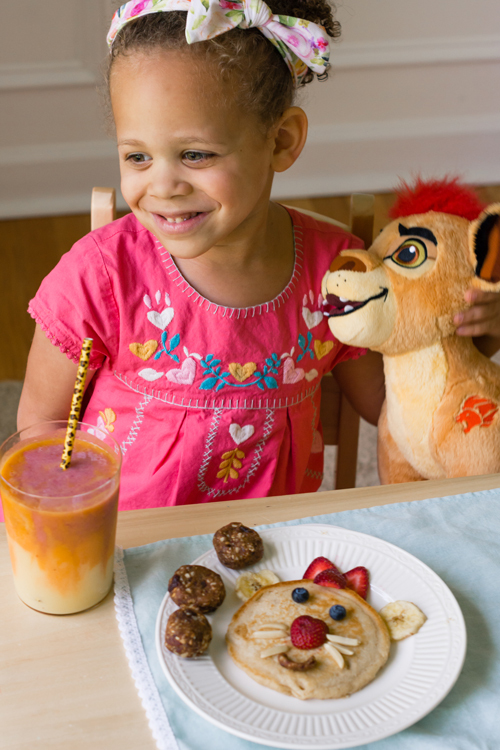 What’s your child’s favorite breakfast? 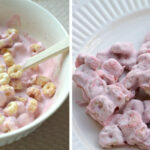 Make your Friday extraordinary by creating some of these fun breakfast ideas! 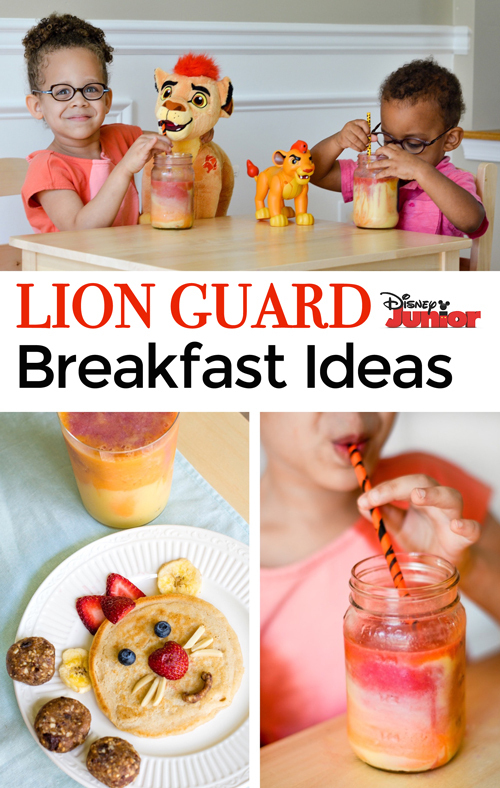 Your kids will love eating food inspired by their favorite Lion Guard characters. Tune into the Disney Channel every FRiYAY morning for all new Disney Junior episodes. Episodes air first on the Disney Channel! All of these recipes look delicious and they’re so creative! What a fun breakfast! My kids would love this. 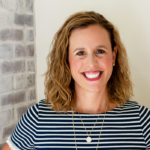 What healthy and adorable ideas! I’m ready for one of those smoothies!